photographers | Photography, Storytelling, & Growth Marketing by Matthew Woodget. Photography, Storytelling, & Growth Marketing by Matthew Woodget. Last week I co-authored this with Josh, another member of the steering committee. We are working to share stories about the production of the photographers @ Microsoft Book. Behind the scenes, baby! Our goal of creating a beautiful book full of amazing photos for you, the photography community at Microsoft, has many challenges. A critical one that we face early on in the project each year is how we select the photos for the book. After all this is first and foremost a community effort for you (by you) joining together for a great cause. Being a member of the judging committee in the past I got to experience an in depth view of the results first hand. I’ve found that with photography being art it is a very subjective experience and two judges can look at a photo and have very differing opinions of it. The good news is when we have many judges (THANK YOU for those who volunteered their time this year!) we can average those scores together to get a solid average for every photo. At some point we need to draw a line of how many photos are in the book to strike a balance between quality (great product) and quantity (as many members from our vibrant photography community in the book as possible). As the number of submissions fluctuates each year our goal isn’t necessarily a concrete number or formula but rather to have a ratio of photos that are submitted which should maintain a pretty solid and consistent quality assuming the same average distribution of photographers. Even still it’s important to remember that it is still subjective (being all about art) and there will always being photos that any given individual will feel deserve to be in the book and some that one feels could have been left out. With the judging system we work to ensure it all comes down to statistical averages. Anyway, judging is just getting underway. We did our training with the judges at the end of last week and are set to start here in the following days after we iron out a few kinks in the technology. 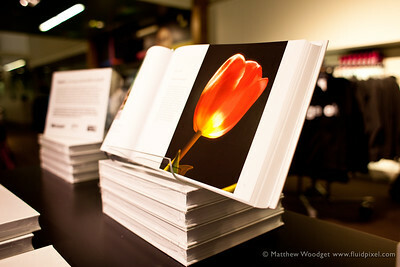 We hope you found this little glimpse into the process of creating a book from your beautiful photos an interesting one. Please do feel free to let us know if you liked this (or not) and if there is anything in particular you would like to hear about the creation of the book. I’ve been thinking about my 365 Project, it’s rather addictive. It’s designed to be of course. As I started on January 1 (you can start any day) I’ve been thinking about continuing the project next year. Do I give it a theme? I thought “a person every day” OK now that would be a serious challenge. Then there is the part of me that thinks; I’ll stop the project officially but try take as many photos as possible. That could work, it would certainly take the pressure off vast amounts of editing and backlog and feeling guilty when I publish 10+ days of photos at once. One thing is for sure, even just one year of the project has helped me grow enormously as a photographer – it’s been allot of fun. Listen to me talking as if it’s mid December. Here’s #276 “#88 Redux” That’s right yesterday’s photo was of Day #88’s effort as published in ‘Inspire’ by photographers@Microsoft. It’s been a busy and diverse few weeks for me in photography. Rather than pasting in a grid of photos I’ve decided to give you just one photo to enjoy from my ongoing 365 Project. If you like it please do check it out in all it’s glory in my portfolio and see it’s brother and sister pictures taken a day or two in its past of future. The below was a very simple photograph. It was shot in fairly low light with a 50mm lens on a Canon 5D MKII. This picture is of a Linhof Technika 4×5, Gavin Seim’s to be specific. He came and spoke at our Smug Mug Users Group in Seattle this week. He had some interesting perspectives on large prints. I was a little skeptical at first however after some presentation, discussion and sharing some large print work with us I started to get his point. We do tend to be trapped in the world of 5×7, 8×10 and… increasingly facebook. I think there is something in what he had to say about the pursuit of quality. Facebook and camera phones lower the bar in quality whilst raising our output and ability to share. Now, I’m also aware of the work by many photographers such as Chase Jarvis who espouse the camera you have with you and cell phone cameras being a perfectly valid tool. Seim’s point was beyond 5x7s and provided an interesting contrast in perspective. Where do I stand on the topic? A little bit of both makes sense to me. We can’t dismiss the importance of prolific photography on our lives, connections and sharing moments. Plus you can create a wonderful composition with a small camera. The flip side is if you wish to do big prints then you need better equipment. Yes a camera phone can produce some excellent work. Honing your skills on more advanced equipment can enable you to take that to the next level on screen and in print. Plus I like to think it provides a degree of future proofing. My $0.02 anyhow. What do you think? I just discovered that one of my favorite photographers is not only local but VERY local, in my neighborhood. 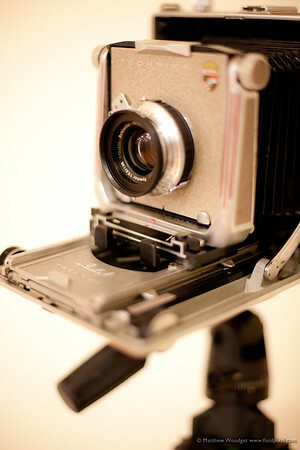 I enjoy Mark’s photography, some very cool work with a Holga.